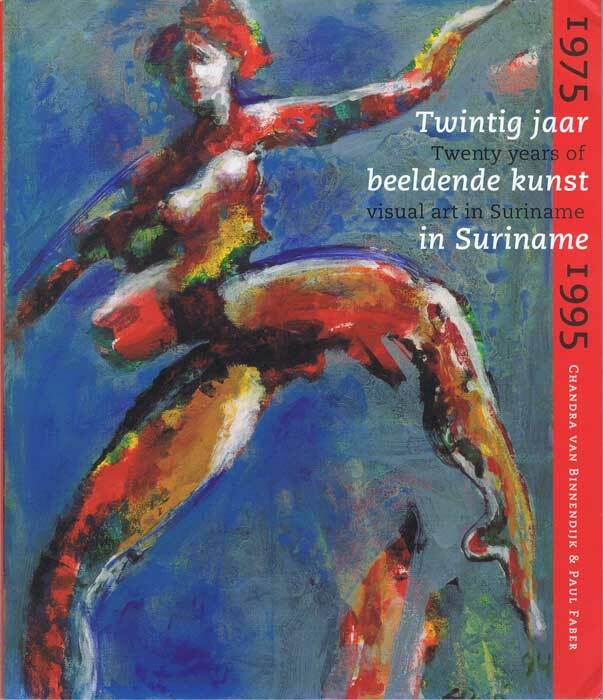 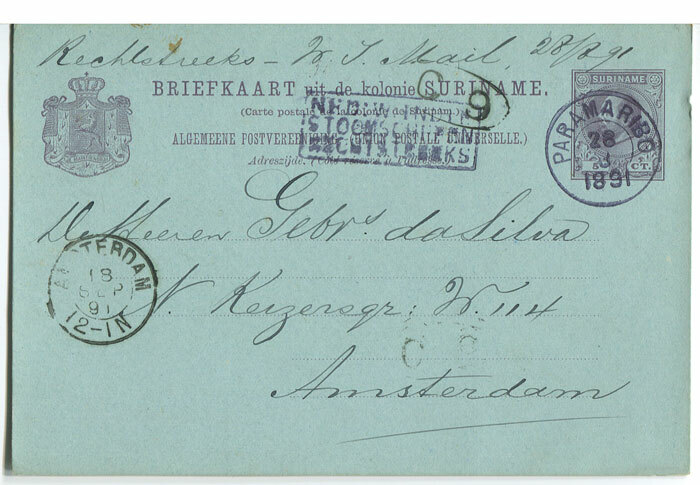 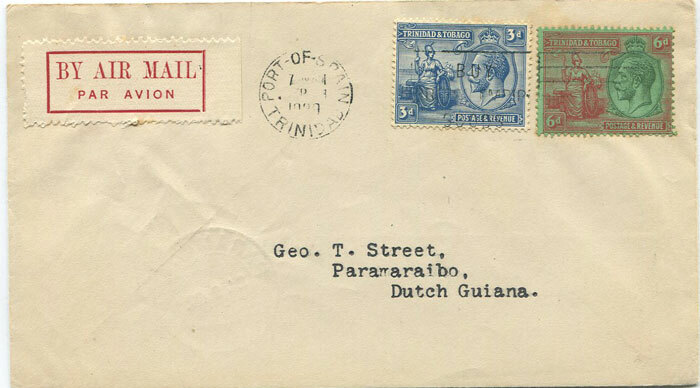 Postage stamps, booklets, flight, censored and maritime mail and philatelic covers of Suriname for sale. 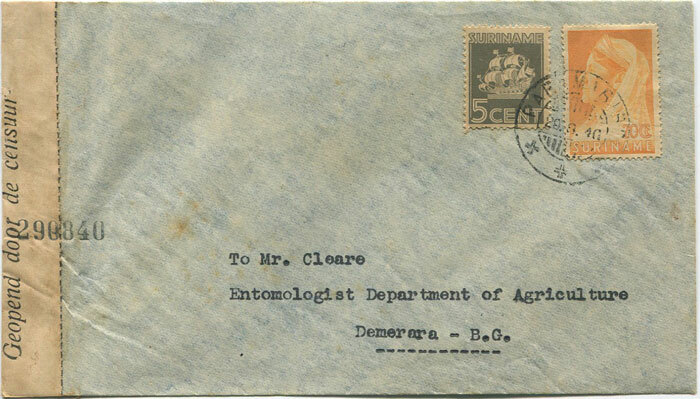 Dr J.D. 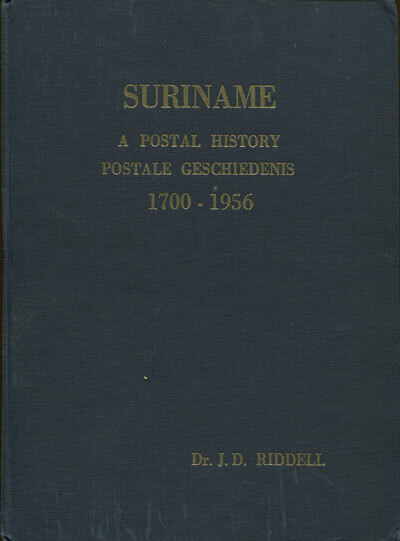 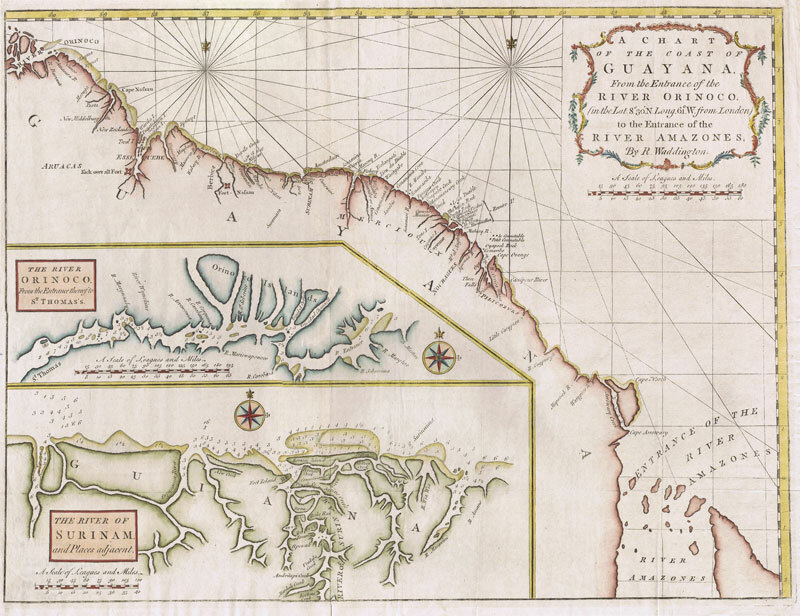 Riddell, "Suriname. 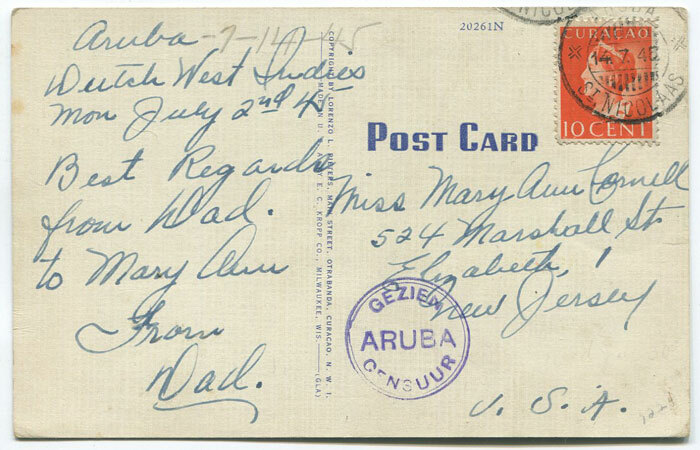 A postal history 1700-1956." 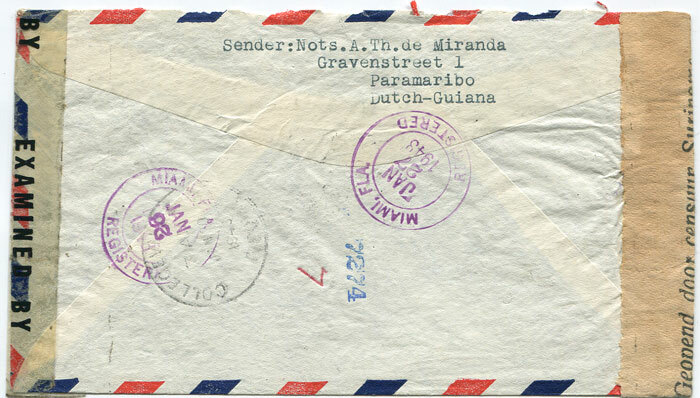 Frank W. Julsen: "The Censor Markings of Surinam 1940-45", issued by the Netherlands Philatelic Society, Amsterdam, 1970. 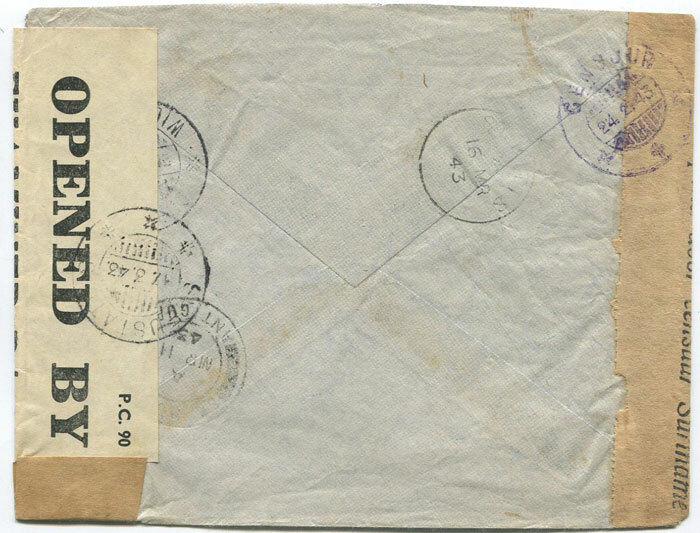 For the real censor-mail specialist there is a series of articles published in the "The Postzak", published by the Dutch Postal History Society (called "Po & Po"), nrs 99 to 109 (1973-1975), author: P.Chr.Westering. 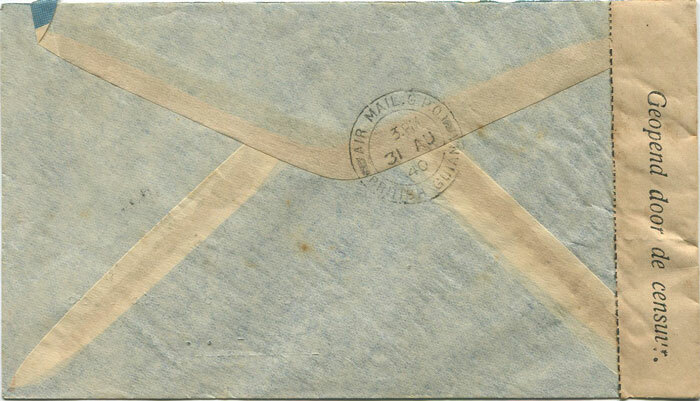 with 5c tied by '204' obliterator. 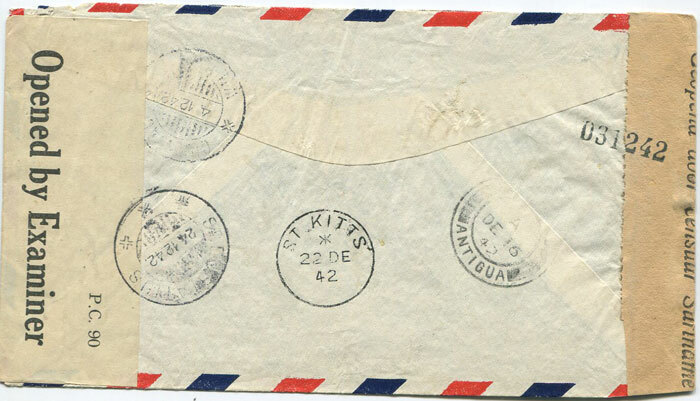 Light ironed out horizontal crease. 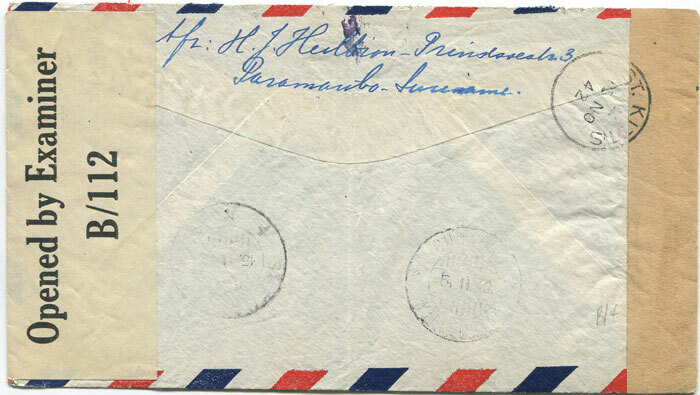 on cover to Demerara tied by '290840' h/s number. 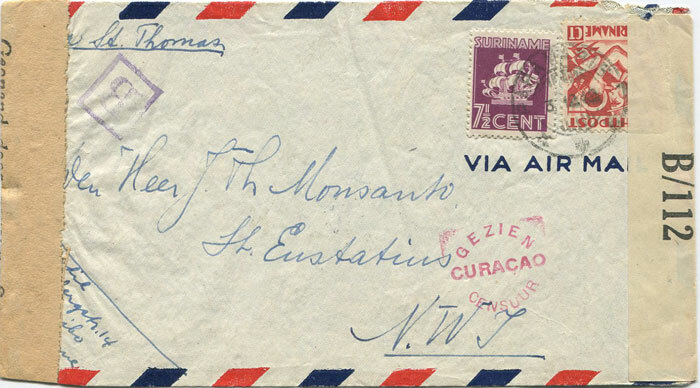 1943 (23 Jan) reg. 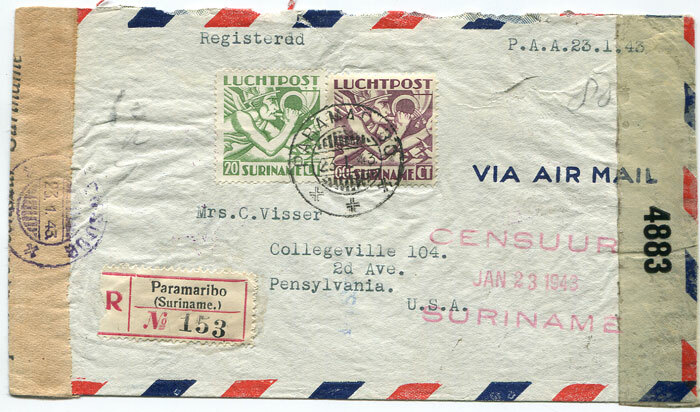 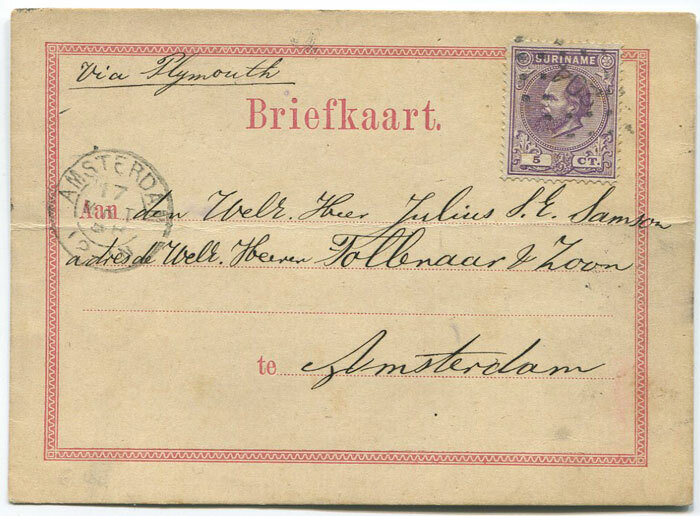 airmail cover from Suriname to U.S.A.
with Suriname and U.S. censor tapes also unrecorded 3 line 'CENSUUR JAN 23 1943 SURINAME' h/s. 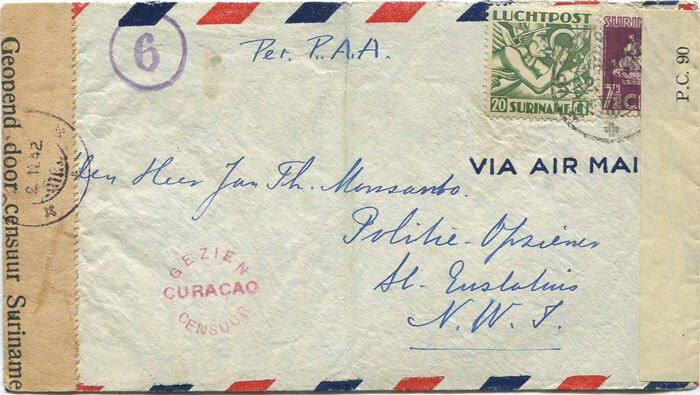 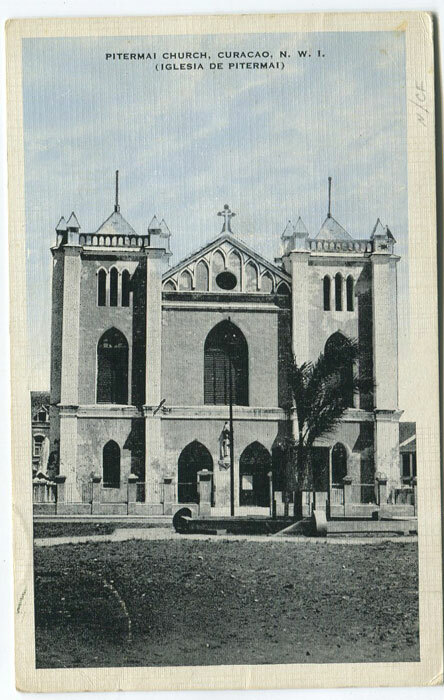 1945 (14 July) Suriname postcard with censor mark. 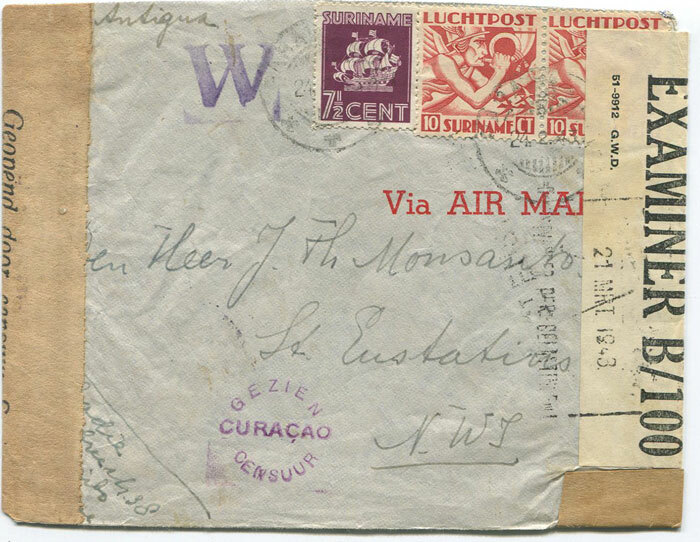 Scarce circular 'GEZIEN CENSUUR ARUBA' h/s.